In a recent after-school enrichment class, entitled aptly enough, “Art, Artists and Art History”, students created their own “built environments“, then painted mini-murals on them, inspired by artist / muralist Diego Rivera. and best of all, how to create their own special world, through color, imagery, texture, openings and space. 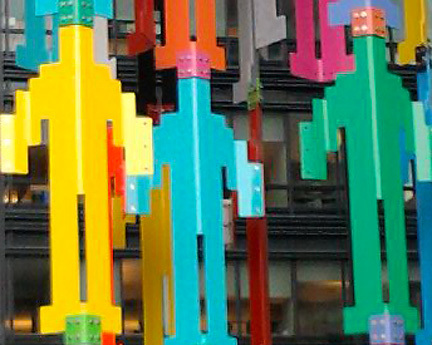 Recent post explored and celebrated the Primary Colors and the Secondary Colors.  Today, we play with those magical fusions of hue, the Tertiary Colors. 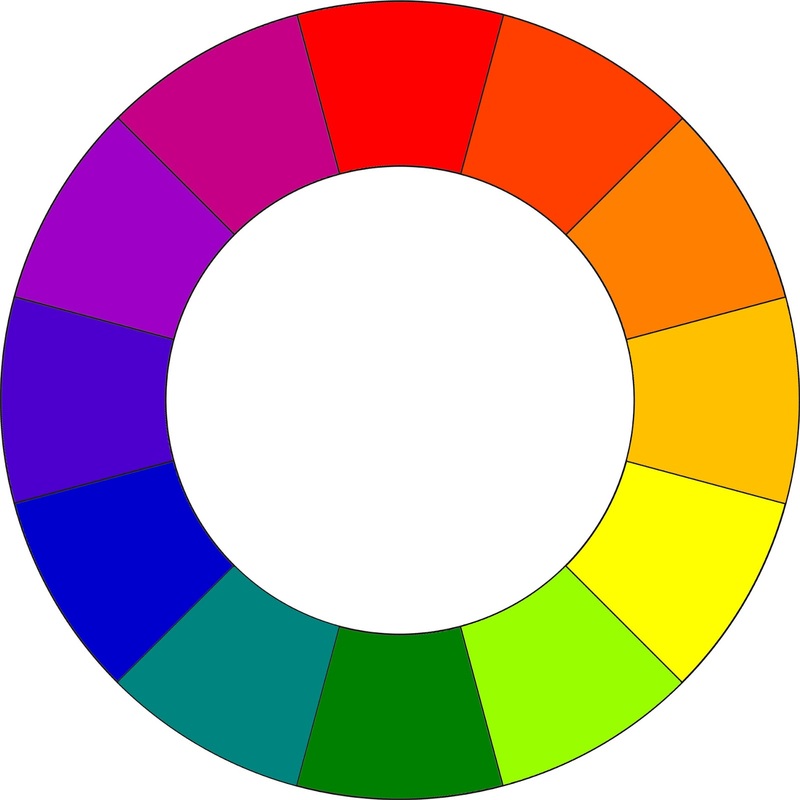 Tertiary colors are created by mixing one primary color, with one secondary color. The names of these mixtures describe their components: Red-orange, Red-Violet, Blue-violet, Blue-green, Yellow-green, Yellow-orange, as depicted above. The Tertiary color star below lays them all out beautifully and clearly, expressing and elucidating the Traditional painting (RYB, or “Red, Yellow, Blue”) color relationships and mixtures. 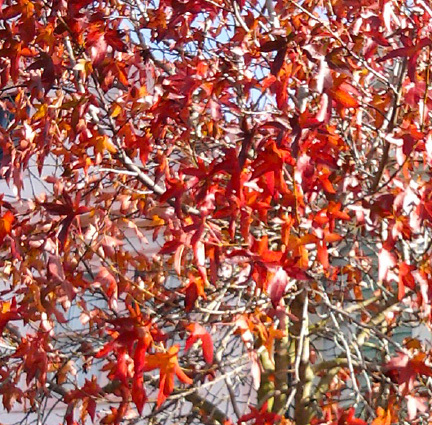 The Tertiaries play out in nature…red-orange leaves show the glory of Fall. 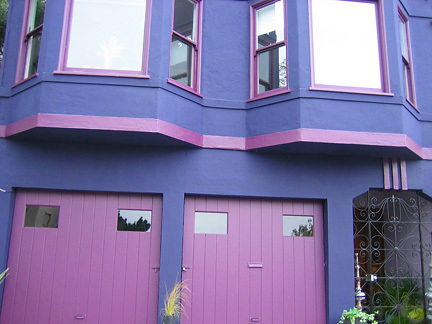 This exterior palette showcases hues of both red and blue-violet. 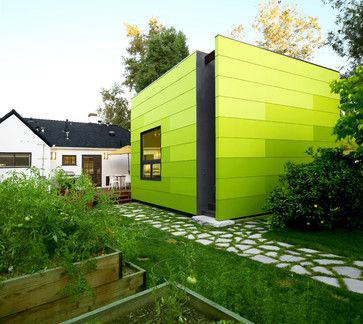 Blue-green expresses fresh and clean…fused as it is, from the colors of grass, new growth, water and sky. Gradations of yellow-green look like the green grass was mixed with sunlight. 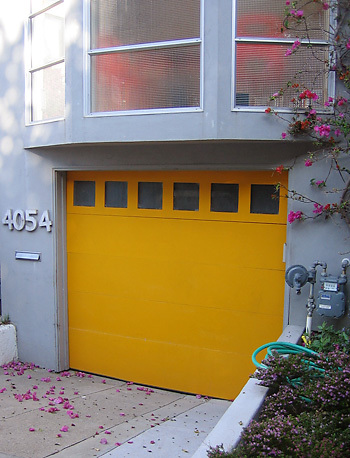 This yellow-orange garage door brilliantly punctuates its gray exterior, creating an accent as powerful as the sun. 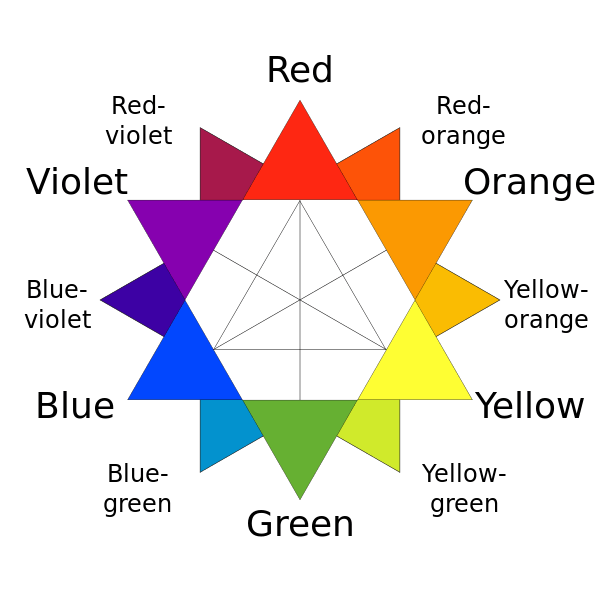 What tertiary colors have You used? I hope this post has illuminated these hues for You, and shown You their important place in the RYB color pantheon.